Seth Levine recently wrote a great post on pricing topics for software as a service companies; I agree with what he writes and can relate given a project I have been immersed with that goes to this very topic. Web startups reflexively over complicate their pricing strategy and/or undervalue what they are offering by making it too cheap on the low end. The 37 Signals pricing scheme that Seth uses an example is a model for many SaaS startups and is both a blessing and a curse, on one hand it provides a compelling presentation model for pricing but on the other it focuses on technical capabilities in the pricing tiers that don’t necessarily translate into user benefits unless the product itself is well understood and largely viewed as fungible where one offering is as good as another. The other problem this presents is that the elasticity between pricing tiers is narrow which becomes a huge problem when you are also selling enterprise deals at price point 100x or more the price of self-service pricing. The bottom line is that when you move up to enterprise you are not selling more features exclusively; the negotiated legal agreements and the SLA that you are adding to the feature set (which determine support response times and financial penalties for downtime) have real value in the enterprise context however it’s a tough rock to push when you are selling a $149 a month service for $15k-20k at the enterprise level and only offering tactical differentiation. Seth goes on to highlight the risk that putting a tariff on the wrong aspect of your product or service presents when the “metered component” actually discourages consumption of the product. Basically the key question to answer is how obvious is the arbitrage between what your customer is paying for when the meter ticks and the value they are getting. I see this metering problem a lot with collaboration applications that scale to value with more users taking advantage of the service, yet companies often want to charge by the user… basically if your app creates more value as a function of usage, then put the subscription tariff on something other than users because in doing so you are creating an obstacle to value for early customers. Seth also points out the value of charging for add-ons and I am always surprised when I see companies giving away add-ons for free or trying to create new products out of components that only have value in the context of a core service. I think the problem is that presenting add-on pricing is a challenge for many companies, and billing systems often create complexity here because in a self-service web environment the billing system acts as a front end to the service provisioning system as well and a lot of dependencies exist. Heroku has one the cleanest presentations of pricing configuration that includes add-ons that I have seen. Beware of setting the wrong price early, or giving away valuable services for free. Conventional wisdom is that raising prices is hard, lowering them is easy but this is simply not true. When you go to your customer base and they have been paying you, for example, $200 a month and you tell them that you are lowering the price to $50 a month you would think they would be happy but in reality what you have done is laid the foundation for them to feel like you have been overcharging them. You can manipulate bundling and promotional pricing but changing core product pricing with any frequency is fraught with peril and can create a self-inflicted customer satisfaction issue. Lastly, Seth brings up the myth of freemium models and it’s my experience that there is no quicker way to start a bar fight in Silicon Valley than to question the validity of freemium models. 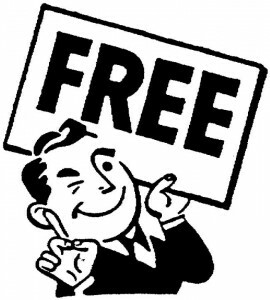 We can argue about the merits of freemium as a customer acquisition tool but to me that is the wrong argument when what we should be talking about is the shaping of demand to acquire “the right kind of customer” who contributes to improving your total lifetime value metric and reducing attrition rates for monthly subscription businesses. In the majority of freemium upsell models I see the lower price points, right above free, have way too much attrition that has the effect of negating any advantage the business may be enjoying in the form of lower customer acquisition costs. All things considered, pricing is one of the most interesting topics in the on demand business and done right merges unique disciplines in pricing science, promotion and bundling, and demand shaping.